Ducati have revealed a new version of their Testastretta engine that will feature Desmodromic variable valve timing and will be called the Ducati Testastretta DVT. This system will feature variable timing on both inlet and exhaust valves, allowing for optimised combustion throughout the rev range and bringing about new levels of efficiency and power. If you've been following our Simple Tech section you all know what the intake and exhaust valves do. One way for engines to make more power is to have the inlet valves open for longer, letting in more fuel. This means having the inlet valve open just before the end of the exhaust stroke, while the exhaust valve is still open. This is called valve overlap. Valve overlap produces more power at higher revs but also leads to higher consumption of fuel as some un-burnt fuel escapes along with the exhaust gases during the overlap period. With conventional engines with fixed intake and exhaust valves, the timing of the valves and in particular valve overlap, is tuned to maintain a certain compromise between efficiency and power and tends to operate optimally at a certain rev range or sweet spot. With a variable valve system the system can be tuned for better efficiency and power at all operating revs. It's not the first motorcycle engine to feature variable valve technology though and both Honda with their VFR800 and Kawasaki's 1400 GTR have featured variable valve timing. 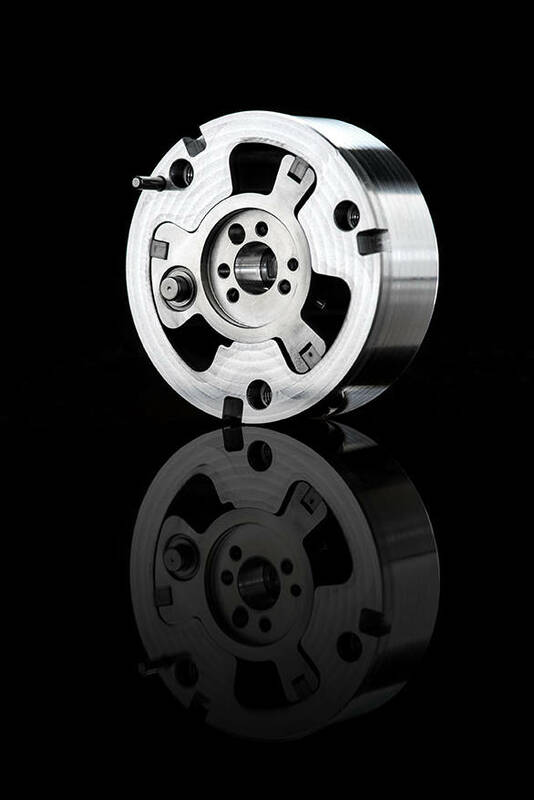 The Honda system works by activating an additional valve at a set rpm unleashing more power at higher revs while the Kawasaki system adjusts the timing of the inlet valves, allowing them to stay open for longer. The Ducati system works very similarly to the Kawasaki one but can change both the intake and exhaust valve timing to provide better efficiency and combustion through the rev range. 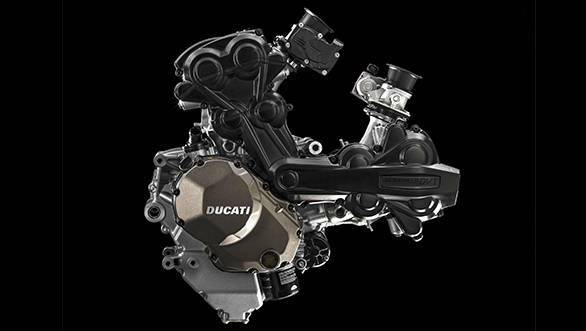 The Testastretta DVT will also feature Ducati's signature Desmodromic valvetrain and dual spark technology. They are also saying that the addition of DVT will not affect service intervals and these still stand at 30,000 kilometres between valve adjustments. Ducati is claiming an increase of 10PS and 12Nm over the non DVT engine that currently powers the Multistrada while the fuel efficiency has received a healthy eight per cent increase. Expect to see more such technological updates by other manufacturers as they prepare their lineups to face new Euro emission regulations.